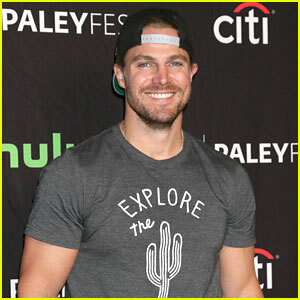 Stephen Amell is currently on hiatus from shooting Arrow and he’s making the most of his free time! The 37-year-old actor is vacationing in Palm Springs and he stripped down while hanging out by a private pool at the house he’s staying at. “It might not look like it, but I’ve been making major life decisions all afternoon,” Stephen captioned the below photo on Instagram, which shows him posing strategically while wearing nothing at all. Stephen Amell & Wife Cassandra Jean Head Out of the Chiltern Firehouse in London! 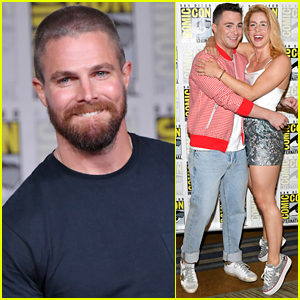 Stephen Amell and Cassandra Jean are stepping out! The 37-year-old Arrow star and the Texas beauty pageant queen were seen leaving the Chiltern Firehouse on Tuesday (May 29) in London, England. 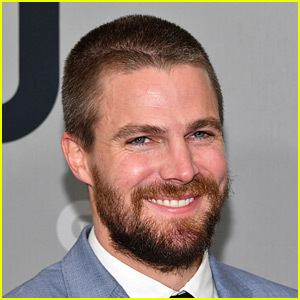 Stephen will star in the upcoming sci-fi film Code 8, about a desperate young man possessing special powers clashes with a militarized police force after committing a petty crime. 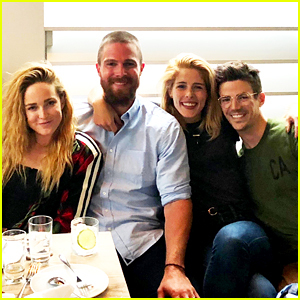 Stephen also recently celebrated the birthday of Andrew Harding, one of his best friends, on his social media: “Happy birthday to my best buddy in the whole world,” he wrote. See the celebratory pic below! The cast of Riverdale shares a table at the CW Network’s 2018 Upfront Party! 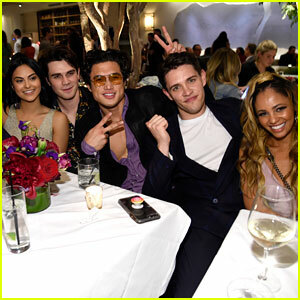 Camila Mendes, KJ Apa, Charles Melton, Casey Cott, and Vanessa Morgan all attended the event held at Avra Madison Estiatorio on Thursday (May 17) in New York City. They were joined by their co-stars Cole Sprouse, Madelaine Petsch, Lili Reinhart, and Mark Consuelos. FYI: Lili is wearing an Elkin dress with Chloe Gosselin shoes. Camila is wearing a Missoni dress with a L’Afshar clutch. Elizabeth is wearing Vitor Zerbinato. Perry is wearing a Jovani dress.